For Leslie Castle 1661 was a significant year. The present Castle’s foundation stone which reads “FUNDED JUNE 17th 1661” is on the west of the main stair tower. Although the west wing of the Castle formed part of the first stone Castle built in the 12th century, it was substantially altered during the mid-17th century refurbishment by John Forbes. John, having married Anna, the descendant of George Leslie of Leslie (and in so doing paid off the Leslie’s debts) set about re-building the castle. The historical backdrop to those times is marked by the momentous restoration of Charles II to the throne in 1660. And in the following year, 1661, the professional soldier General Alexander Leslie of the Balquhain lineage, 1st Earl of Leven, died at Balgonie castle. Where he had retired from active military service in support of the Presbyterian “Covenanters” during the preceding years of civil war in Scotland. It seems small wonder that Leslie Castle was built with many defensive fortifications included given this period of such great unrest. Interestingly it is said that the classic nursery rhyme There was a Crooked Man, was written about General Leslie who had signed an agreement with Charles I securing a measure of religious freedom, the crooked stile being the border between England and Scotland, and they all lived together in a little crooked house, refers to the uneasy truce. …1 January 1660: General George Monck, the Military Governor of Scotland, leads troops based in Coldstream south to London to restore Charles Stewart – Charles II – to the throne. …14 May 1660: Charles II is proclaimed King of England, Scotland and Ireland while still in Holland. …25 May 1660: King Charles II sails from Holland to Dover: the monarchy is restored. …29 May 1660: King Charles II becomes undisputed king of England following his restoration. …January 1661: The Scottish Parliament meets under its Commissioner, the Earl of Middleton. On 28 March it revokes every law passed since the year of Charles I’s accession, 1633. This rolls back the Covenants and restores ultimate power to the King in London. …4 April 1661: The death at Balgonie Castle in Fife of Alexander Leslie, 1st Earl of Leven, the professional soldier who became a field marshal in the Swedish army before returning to command the Scottish Covenanter army during the Wars of the Thee Kingdoms. …23 April 1661: Charles II is crowned King of England at Westminster Abbey: he had been crowned King of Scotland ten years earlier. …27 May 1661: The Marquis of Argyll is executed in Edinburgh for his role during Charles II’s 1650-1 reign. A number of other extreme Presbyterians are executed later in the year, though Neil Macleod, who had betrayed Montrose at Ardveck Castle, escapes. Charles II is also settling scores in England, where many of those responsible for his father’s death are executed and Oliver Cromwell’s body is exhumed and symbolically beheaded. …6 September 1661: King Charles II restores episcopal government to Scotland by royal decree. Alternative services called conventicles, often held in the open air, that spring up in an effort to retain a Presbyterian approach, are later made illegal. …18 December 1661: The ship Elizabeth of Burntisland sinks off the coast of north east England, taking with it many of Scotland’s most important historical records, en-route back to Scotland after their earlier removal to London by Oliver Cromwell. 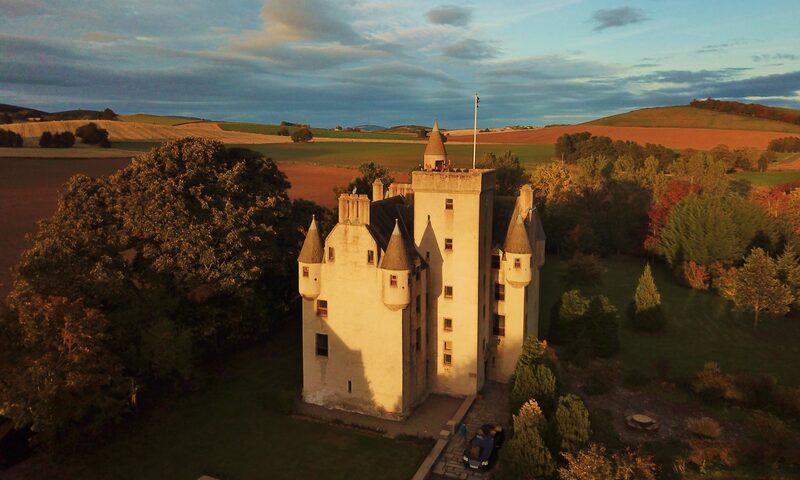 Imagine the times gone by when you book your stay in a real Scottish castle.